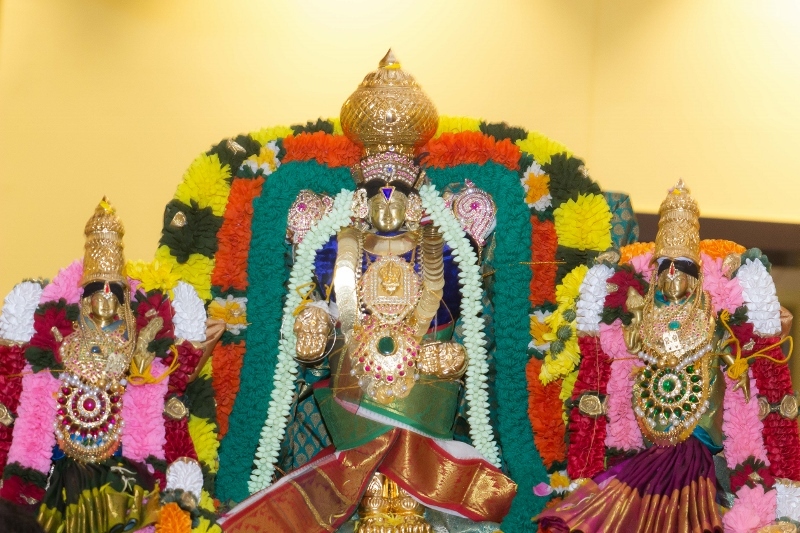 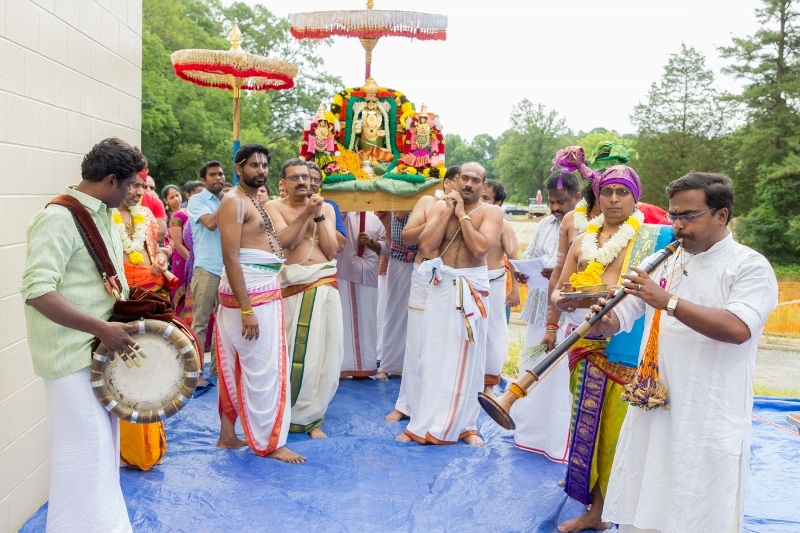 Trimurti Temple celebrated its Grand Opening in late June. 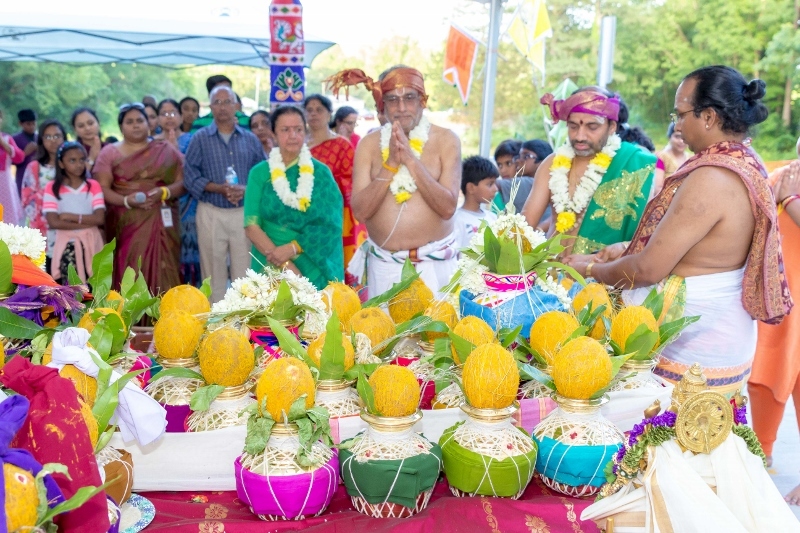 Over 3,000 devotees participated in various religious rituals throughout the multi-day event. 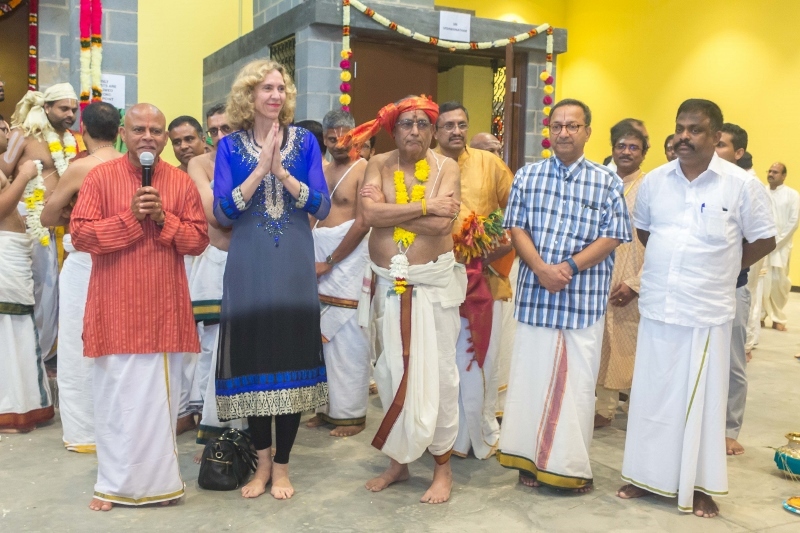 Charlotte Mayor Jennifer Roberts was in attendance to the mark the occasion. 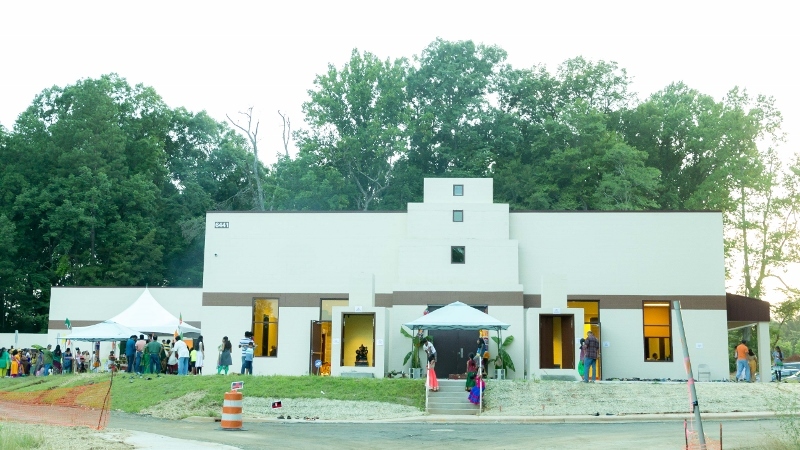 The 9,475 SF temple was built by S. C. Hondros & Associates, Inc. 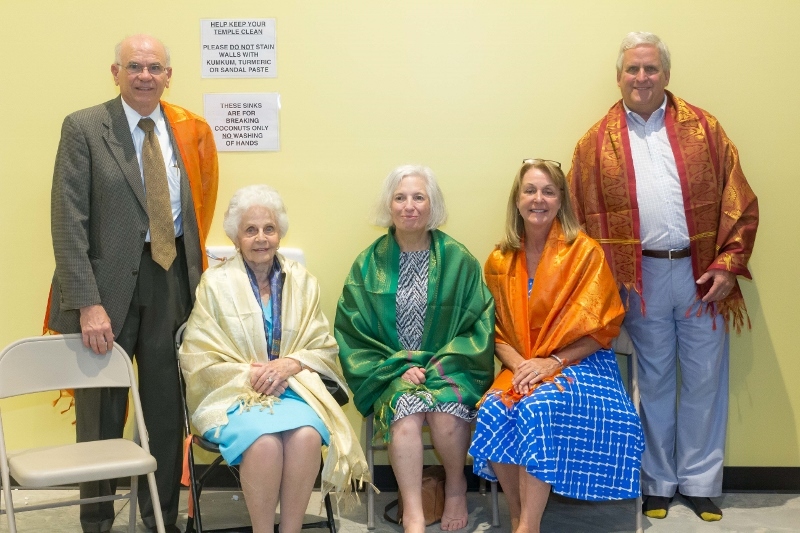 The Architect was Gary Franceschi, R.A.
Pictured left to right: Sam Kleto, Nickie Kleto, Maria Kleto, Jeanine Devaney, and Tommy Laughlin.